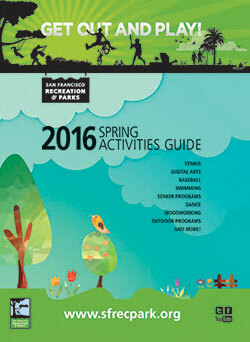 On-site registration for Spring Activities begins on at 10:00 a.m. See the compete catalog of all Rec & Park offerings at www.sfreconline.org or drop by the Rec Center for a catalog and assistance from Upper Noe staff. See the daily schedule of Upper Noe programs and registration info . Remember that most classes at Upper Noe are open to drop-in guests for a small per-session fee. Check with Rec Center staff. Auditorium Free Play - hours remain the same for spring. - Tuesdays 5:30-6:30 p.m. for 9-12 yrs old. NEW! 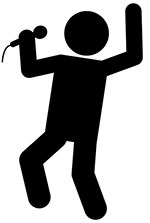 Karaoke of Adults (18+) - Fridays, 3/25 - 4/29 6:30 - 8:30 p.m.
Before there was The Voice or American Idol, karaoke was king. Come, sign up and join in as we sing your favorite songs. Signups for singing order start 15 minutes before class. Sign ups start at 10 a.m See details at www.sfreconline.org or drop by the Rec Center for a catalog and assistance. From 10 a.m. to 2 p.m., FREE. Pier 70, 420 22nd St. Join Rec and Park, Dept. of Youth, Children and Families, SF Unified School District and other city agencies. 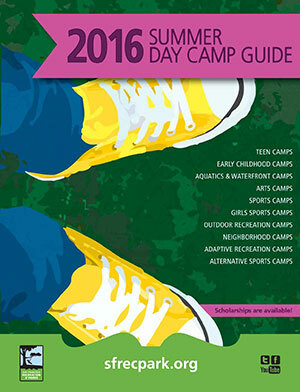 Find free and affordable summer camp options and opportunities. More information. Join Joan and her crew from 9 a.m. to noon as they plant, trim, and preen the grounds in preparation for spring. Bring a hat and gloves. Children are welcome. Calling all volunteers. 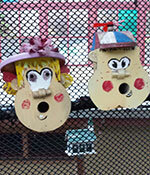 The colorful and whimsical birdhouses that adorn the grounds of Upper Noe Rec Center are unique to Rec & Park property. Come and help spruce up the grounds for spring by repair and painting these creations at a workshop from 10 a.m. to 2 p.m. at the Rec Center. Refreshments and friendship will be served. 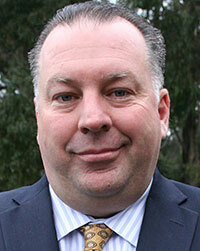 Rec and Park has a new Park Patrol Chief. Mike Celeste brings over 25 years in public safety field experience. He spent nine years as Director of Public Safety and Emergency Preparedness for the San Mateo County Community College District, he was Chief of Public Safety at Skyline College, and he ran a police academy in the South Bay. He also spent 12 years with the Colma Police Department where they chose him Officer of the Year in 1998. The current priority for Park Patrol is hiring new rangers. This will allow better coverage of the parks and help promote their mission of safety and community policing. When a ranger walks through any park in San Francisco, Mike wants the community to feel safe, to be able to approach to ask for any assistance and guidance, and to receive an answer that is informative and delivered in a way that is professional and courteous. He wants the uniform of the San Francisco Park Rangers to be a welcoming sign. Mike is also aware that currently some issues in the parks violate park ordinances. Rangers will continue with their enforcement in these areas. In Mike’s view, the role of our Park Rangers is to keep the parks safe for all so that visitors can enjoy the parks to the fullest. Sharon Meadow in Golden Gate Park, 11 a.m. to 3 p.m. Featuring egg hunts, carnival rides, games, live entertainment, and an annual barbecue rib cook-off between Rec and Park, San Francisco Police and the San Francisco Fire Department. Cost is $8 per person; children under 2 are free. WANT TO VOLUNTEER? Email recparkvolunteer@sfgov.org. The whirling fun has run out for a popular playground attraction. The spica, that odd curvy pole with the triangular base near the playground gate, has stopped spinning. The diagnosis is that the bearings are shot. After less than eight years of use, that is surprising. Rec & Park has invited Friends to replace it at almost $1000. Friends has invited Rec & Park to put in a requisition for it at the beginning of the fiscal year in July. Panel discussion on past and future relevancy of our neighborhood associations. Guest panelists include representatives of the Diamond Heights Association, Friends of Noe Valley, Glen Park Association, and Upper Noe Neighbors. This moderated discussion will highlight the history of these groups and present the challenges of today. For UNN members who have renewed their memberships, we will also vote in the 2016 board. All are welcome. Refreshments will be served.